Camila Cabello has a long history as a fixture at the VMAs, especially in her years as a member of Fifth Harmony. But at the end of 2016, she announced she’d be following her own path, and now, it’s clear: 2018 is the year Camila has properly arrived as a solo pop phenom. Need proof? After earlier winning Artist of the Year, Camila just took home the night’s top prize of Video of the Year for her Young Thug collab, “Havana,” the video for which is a positively sumptuous buffet of colors and vibes. Camila ended up triumphant over fellow culture-topping nominees Ariana Grande’s “No Tears Left to Cry,” Bruno Mars and Cardi B’s “Finesse (Remix),” The Carters’ “APES**T,” Childish Gambino’s “This Is America,” and Drake’s “God’s Plan” for the night’s highest honor. “Havana” racked up four VMAs noms in total, and Camila also took home Artist of the Year. Still, even the top artists have their own faves. That’s why she left the stage making certain her influences were celebrated, too. 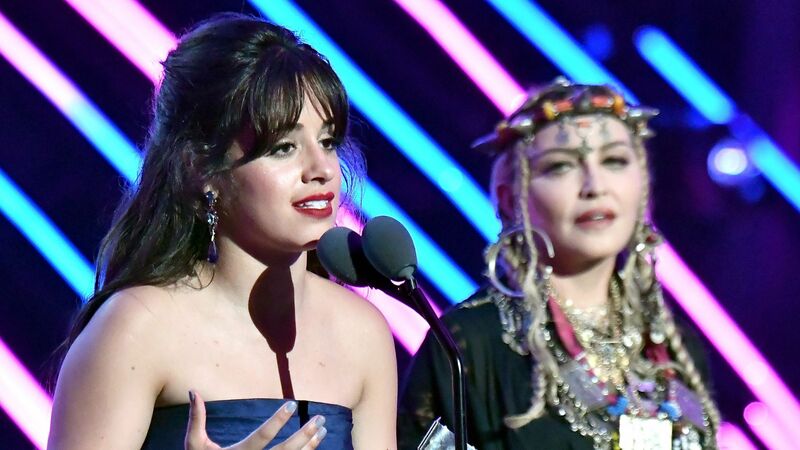 “Honestly, I dedicate this to Madonna,” Camila said. It was in keeping with her previous speech — and though there’s no reason to be humble when you take the top prize, it’s refreshing to know that you still can be.